Heavy metal was still going strong in 1984, and the variety present in our list shows that. We’ve got a number of albums many consider to be the best by their respective bands, some genre-defining records, and even some massive commercial success. Metallica’s second album takes top spot, as their debut did a year earlier. This time around the production, songwriting, and performances are all more refined. 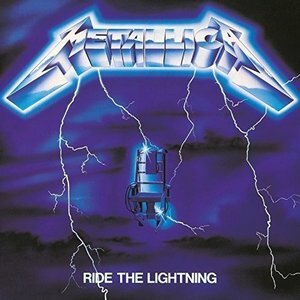 Ride the Lightning is not as raw and visceral as Kill ‘Em All: while the thrash components of their debut are present in the lightning fast “Fight Fire With Fire” and “Trapped Under Ice,” the range in song dynamics is far more impressive. Everyone is familiar with the concert mainstay “For Whom the Bell Tolls,” but equally impressive are anthemic cuts such as the title track and album highlight “Creeping Death.” Metallica also show a very deft touch with instrumental closer “The Call of Ktulu” and melodic track “Fade to Black.” Ride the Lightning stands the test of time, sounding as amazing today as it did thirty-four years ago. Not often is Iron Maiden’s fifth album, Powerslave, placed at the top of their best-of lists, but this landmark LP can safely be considered the most well-rounded of their career. It’s their fifth album in five years, and all five are classics – an impossible feat in today’s era. 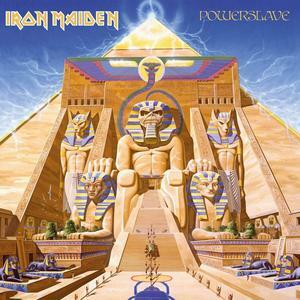 Powerslave has it all – a galloping opener in “Aces High,” riff-heavy metal in “Two Minutes to Midnight,” a mid-paced, dark anthem in the title track, and the band’s longest song at the time, the thirteen and a half minute “Rime of the Ancient Mariner.” Top it all off with amazing production and cover art, and you can see why Powerslave lands at #2 on our list. 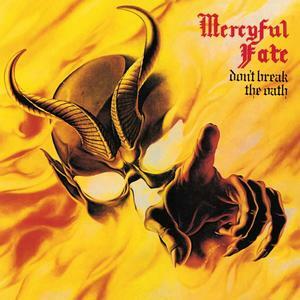 The band’s first breakup occurred the year after Don’t Break the Oath was released, and King Diamond went on to record some equally great albums, but this one stands tall as the best LP under the Mercyful Fate name, a ‘satanic’ elixir of doom, black metal, traditional Iron Maiden-esque metal, and progressive metal. After the commercial success of recent albums like British Steel and Screaming for Vengeance, Judas Priest headed in a darker, heavier direction with “>Defenders of the Faith. Despite (or perhaps because of) that, the album remains one of the band’s most-loved by ardent fans. Murky production aside, some of Judas Priest’s best work appears on this album. Defenders is somewhat front-loaded, but what a front it is. Arguably the best Side 1 of the year comes courtesy of the blindingly fast “Freewheel Burning,” along with the heavy “Jawbreaker,” the anthemic “Rock Hard Ride Free,” and the progressive epic “The Sentinel.” Side 2 still featured great tracks as well, such as “Some Heads are Gonna Roll” and “Love Bites.” All told, Defenders was a heavier, less commercial release for Priest, and one that resides at the top of their catalog. The natural evolution of underground legends Hellhammer, Celtic Frost came into being when founder Tom Warrior (Tom Gabriel Fischer) realized his band would not be able to take the creative steps it needed to with the former band’s stigma. You see, critics loathed Hellhammer en masse. Originally comprised only of six songs, by the time Morbid Tales saw an American release it was eight songs long. Warrior and bandmates Martin Eric Ain and Stephen Priestly delve into thrash, grind, and noise to varying degrees throughout, all while delivering at times bizarre and satanic lyrics. Morbid Tales became one of the most influential albums on the death and black metal genres. You can’t tell from this list, but hair metal was entering its prime in 1984, with bands like Van Halen and Ratt hitting it big. W.A.S.P. and their self-titled debut land on the seedier side of the hair metal phase, with singer Blackie Lawless bringing a nasty (yet highly talented) edge to the songs and Chris Holmes providing more metallic guitar pyrotechnics than many other bands had. That combination, along with the gimmicky look and borderline subversive lyrics, catapulted the band to fame. “L.O.V.E. 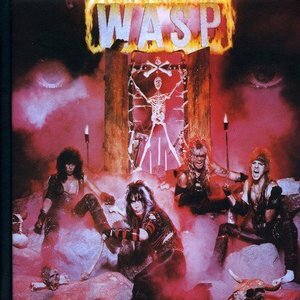 Machine” and “I Wanna Be Somebody” were huge video hits, but the rest of the songs on W.A.S.P. also hold their own. Rippers like “School Daze,” “Tormentor,” and “On Your Knees” showed why W.A.S.P. were one of the heavier bands of the hair metal days. After toiling for years on the edge of mainstream success, the Scorpions finally reaped the rewards for their hard work commercially with 1982’s Blackout. However, they burst out in a major way with Love at First Sting, an album that remains their career apex. Longtime producer Dieter Dierks was still at the helm, and the album’s sound took on even more of a mainstream sheen. Love at First Sting is loaded with hits, many of which still receive airplay (and took full advantage of the burgeoning music video industry). Anthemic rockers such as “Big City Nights” and “Rock You Like a Hurricane” are known to everyone, while the massive ballad “Still Loving You” remains the benchmark for the heavy metal power ballad. Ronnie James Dio’s debut solo album, Holy Diver, was no fluke, and he proved that on his sophomore effort, The Last In Line. This sophomore effort is built off the same template as Dio’s debut, opening with the blast of “We Rock” before settling into the anthemic title track. Dio still prefers to sing about heavy metal tropes such as evil, rainbows, and mythology, but for the most part the songwriting keeps us engaged, with compelling tracks such as “One Night in the City” and the epic “Egypt (The Chains are On).” Aside from the misstep of trying to appeal to the masses with the pop-metal ballad “Mystery,” The Last In Line holds up one step below Dio’s finest work. 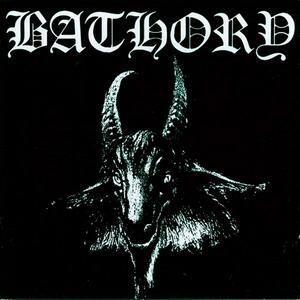 The third debut album to land in the Top 10, Bathory’s self-titled recording is unique on this list. Essentially a one-man band led by the teenaged Quorthon, the band’s style and rudimentary recordings fell in line with early music from Venom and Hellhammer – fast, primitive, and distorted beyond reasonable levels, with Quorthon’s raspy, high-pitched harsh vocals. Along with fellow list-makers Celtic Frost and Mercyful Fate, Bathory set the stage for the European extreme metal scene for years to come. While Quorthon would go on to release more refined and critically-acclaimed albums prior to his unexpected death at age 38 (even shifting gears to Viking metal), Bathory stands as another landmark release signalling the birth of extreme metal. It may seem strange for a band from New York to call their album Hail to England, but that’s just what Manowar did on their third album. Named as such possibly as a tribute to the country where bassist Joey DeMaio and guitarist Ross the Boss met, the album was the band’s third in as many years – an album a year being a trait shared by most bands on this list. Hail to England is an enticing blend of old-school heavy metal and thrash metal – these days, we call it power metal – loaded with technically sound guitar playing and some speedy bass work. “Blood of my Enemies” is a classic that has been covered by other bands many times, and the over-the-top lyrics in songs such as “Bridge of Death” and “Kill With Power” remain staples of the power metal genre. Tags: Bathory, Celtic Frost, Dio, Iron Maiden, Judas Priest, Manowar, Mercyful Fate, Metallica, Scorpions, W.A.S.P.